Individuals with traumatic brain injury (TBI) are incarcerated at far higher rates than those without (Farrer & Hedges, 2011). As a result of their brain injury, they may experience disabilities that make life in prison challenging and that make transition from the correction setting to the community setting difficult. 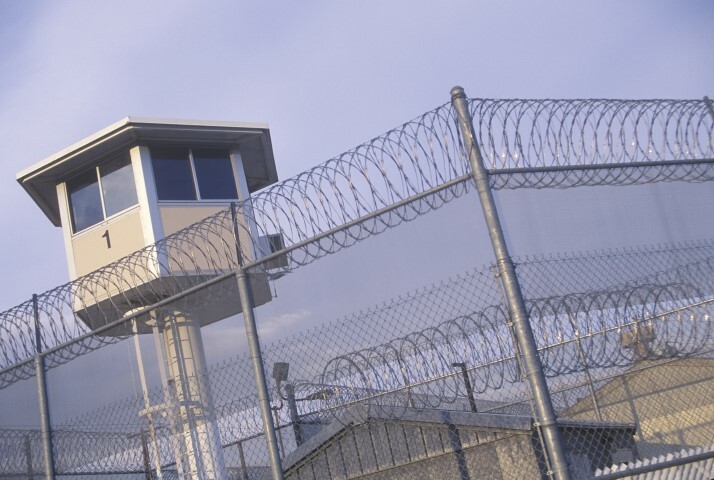 Front line staff in prisons and community corrections often lack information about how to deal with these issues and may respond in ways that exacerbate difficulties complying with Washington State Department of Corrections (DOC) expectations and benefiting from DOC rehabilitation interventions. In this project, we plan to take evidence-based products and findings on the topic of traumatic brain injury (TBI) and engage in knowledge translation activities with front line staff members in the DOC to increase their knowledge about the characteristics of offenders with TBI and improve their skills in interacting with those offenders. TBI is a serious health concern. At least 1.7 million people sustain a TBI annually in the United States. Of these, about 52,000 die, 275,000 are hospitalized, and 1.4 million are treated and released from an Emergency Department (National Center for Injury Prevention and Control (U.S.) Division of Injury Response, 2010). In a meta-analysis of 15 studies conducted in developed countries, Frost, Farrer, Primosch, and Hedges (2013) estimated that approximately 12% of adults in the general population had a history of TBI with loss of consciousness. They also found that men have twice the odds of having a TBI compared to women. People with TBI as a result of intentional injuries (e.g., crime-related injuries such as assault) are more likely to be male, younger, unemployed, living alone, with greater alcohol/drug abuse. They also show poorer functional gains at discharge from the hospital and are less likely to be discharged home (Kim, Bayley, Dawson, Mollayeva, & Colantonio, 2013). The high mortality and morbidity associated with these injuries is compounded by the fact that TBI occurs primarily among previously healthy young people, who must deal with the associated disabilities for the rest of their lives (Langlois, Rutland-Brown, & Wald, 2006). Traumatic brain injuries may have an impact on all major areas of functioning, including cognitive executive functions such as planning and memory, social cognition, social functioning and motivation (Cicerone, Levin, Malec, Stuss, & Whyte, 2006; Hawthorne, Gruen, & Kaye, 2009; Temkin, Dikmen, MacHamer, & Corrigan, 2009). Depending on the severity of injury, these impairments may leave persistent residual deficits that can hinder or prevent the injured person from resuming activities of everyday life (Dikmen, Machamer, & Temkin, 1992; Dikmen, Machamer, Temkin, & McLean, 1990; Jacobs, 1988; Jennett & Teasdale, 1981; Pagulayan, Temkin, Machamer, & Dikmen, 2006; Tate, Lulham, Broe, Strettles, & Pfaff, 1989). Deficits in executive function are often a barrier to participation in all areas of life, including employment and education, and lead to reduced participation, economic marginalization, and lower reported quality of life (Cicerone et al., 2006; Dikmen et al., 1992; Dikmen et al., 1990; Hawthorne et al., 2009; Jacobs, 1988; Jennett & Teasdale, 1981; Pagulayan et al., 2006; Tate et al., 1989; Temkin et al., 2009). In our own work (Chu, Brown, Harniss, Kautz, & Johnson, 2014), we have found that participants with TBI report significant needs for support across a number of categories related to cognition, including remembering to take daily medication, keeping appointments and a daily schedule, time management, initiating activities, short-term memory, managing finances, and learning new tasks. From an emotional and behavioral perspective, TBI is associated with mood and anxiety disorders including depression, mania, and PTSD (Hawthorne et al., 2009; Rao, Koliatsos, Ahmed, Lyketsos, & Kortte, 2015; van Reekum, Cohen, & Wong, 2000) as well as violence and aggression (often comorbid with depression) (Baguley, Cooper, & Felmingham, 2006; Bufkin & Luttrell, 2005). Individual with TBI may also have an increased probability of social isolation (Hawthorne et al., 2009). The prevalence of TBI is significantly higher in the population of incarcerated offenders than in the general adult population (Farrer & Hedges, 2011). In a recent study conducted by the DOC, Phillips (2013) estimated that 35.6% of Washington State offenders have a history of TBI, and of those, 7.6% have moderate to severe TBI. Two recent meta-analyses estimate higher rates—their findings suggest 51%-60.25% of the incarcerated population had experienced a TBI (Farrer & Hedges, 2011; Shiroma, Ferguson, & Pickelsimer, 2012). A study conducted in the New York City Jail System found similar estimates for adolescents (Kaba, Diamond, Haque, MacDonald, & Venters, 2014). General risk factors for arrest are similar between people with TBI and those without—in particular, young, single, less educated males are more likely to be arrested (Elbogen, Wolfe, Cueva, Sullivan, & Johnson, 2014). A history of offending prior to the TBI is also associated with post-TBI arrest. In contrast, researchers have noted a stronger relationship between TBI and substance abuse for offenders with TBI than for those without (Correctional Services Canada, 2010; Davies, Williams, Hinder, Burgess, & Mounce, 2012; Elbogen et al., 2014). In the DOC study, Phillips (2013) found that 95.2% of offenders with TBI had a history of chemical dependency issues in comparison to 60.5% of the general population of offenders. In addition, it may be more common for offenders to have experienced multiple TBIs (Schofield et al., 2006). Research on the effect of TBI on offenders in correctional settings is limited, but suggests that they have higher rates of recidivism (i.e., prior incarcerations) than offenders without TBI (Piccolino & Solberg, 2014; W. H. Williams et al., 2010), are heavier users of medical/psychological services (Piccolino & Solberg, 2014), are less able to maintain rule-abiding behavior (Merbitz, 1995; Piccolino & Solberg, 2014), and are less likely to complete chemical dependency programs (Piccolino & Solberg, 2014). There are sub-populations of offenders who face unique risks related to TBI, including veterans and women. For military members serving in war zones such as Iraq and Afghanistan, the incidence of TBI accounts for a larger proportion of casualties than in any other recent US conflict. The Department of Defense reports 327,299 medical diagnoses of TBI that occurred anywhere in US forces since 2000 (Defense and Veterans Brain Injury Center, 2015). Improvements in combat protection such as Kevlar helmets and body armor have resulted in fewer penetrating injuries and increased survival rates (Lew, 2005; Okie, 2005). Evaluations of all admitted soldiers who have survived a blast injury indicated that 59% receive a diagnosis of TBI; of these, 56% are considered moderate or severe, and 44% are mild (Lew, 2005; Okie, 2005). There may be important differences in how TBI manifests in veterans. Among veterans with mild TBI blast injuries, long term effects include high rates of sensory impairment, pain issues, and polytrauma (French, 2010). Veterans are also unique in that they are at risk for co-occurring posttraumatic stress disorder (PTSD). An estimated 7-20% of veterans from the Iraqi conflicts may have PTSD (Committee on the Assessment of Ongoing Efforts in the Treatment of Posttraumatic Stress Disorder, 2014). In addition, veterans with multiple TBIs are at greater risk for suicide, even when clinical symptom severity is controlled (Bryan & Clemans, 2013). In terms of the corrections setting, veterans with TBI are represented at far higher rates than without. In Washington State, Phillips (2013) estimated that of the 425 offenders who are veterans, 59.7% had a history of TBI and, of those, 15.8% were identified as moderate or severe, that is, nearly double the amount of offenders with TBI in the general population. Women make up only 18% of the total correctional population, but are one of the fastest growing groups in US prisons (since 2000, a growth of approximately 2.2% in comparison to males at 1.6%) (Sipes, 2014). Although women have fewer TBIs than men in general, there is some evidence that women in prison may have TBIs in significant numbers (38%) and that the life course leading to TBI and imprisonment may differ for women versus men (Colantonio et al., 2014). In particular, women may be more likely to have TBI prior to incarceration, to have histories of physical, sexual, or family violence, and to have a history of mental illness (Colantonio et al., 2014; Sipes, 2014). These differences may suggest a need for a different approach by corrections staff when working with women with TBI. Baguley, I. J., Cooper, J., & Felmingham, K. (2006). Aggressive Behavior Following Traumatic Brain Injury How Common Is Common? J Head Trauma Rehabil, 1, 44-56. Chu, Y., Brown, P., Harniss, M., Kautz, H., & Johnson, K. (2014). Cognitive support technologies for people with TBI: current usage and challenges experienced. Disabil Rehabil Assist Technol, 9(4), 279-285. Cicerone, K., Levin, H., Malec, J., Stuss, D., & Whyte, J. (2006). Cognitive Rehabilitation Interventions for Executive Function: Moving from Bench to Bedside in Patients with Traumatic Brain Injury. Journal of Cognitive Neuroscience, 18(7), 1212-1222. Committee on the Assessment of Ongoing Efforts in the Treatment of Posttraumatic Stress Disorder. (2014). Treatment for Posttraumatic Stress Disorder in Military and Veteran Populations: Final Assessment. Washington, DC: National Academy of Science. Correctional Services Canada. (2010). Traumatic brain injury and substance use among offenders. Defense and Veterans Brain Injury Center. (2015). DOD Worldwide TBI Numbers Since 2000. Dikmen, S., Machamer, J., & Temkin, N. (1992). Psychosocial outcome in patiens with moderate to severe head injury: 2-year follow-up. Brain Inj, 1(2), 113-124. Dikmen, S., Machamer, J., Temkin, N., & McLean, A. (1990). Neuropsychological recovery in patients with moderate to severe head injury: 2-year follow-up. J Clin Exp Neuropsychol, 12(4), 507-519. Hawthorne, G., Gruen, R. L., & Kaye, A. H. (2009). Traumatic brain injury and long-term quality of life: Findings from an Australian study. Journal of Neurotrauma, 26(10), 1623-1633. Jacobs, H. (1988). The Los Angeles head injury survey: Procedures and initial findings. Arch Phys Med Rehabil, 69, 425-431. Jennett, B., & Teasdale, G. (1981). Management of Head Injuries (Vol. 120). Philadelphia: F.A. Davis Company. Langlois, J. A., Rutland-Brown, W., & Wald, M. M. (2006). The Epidemiology and Impact of Traumatic Brain Injury: A Brief Overview. The Journal of Head Trauma Rehabilitation, 21(5), 375. Lew, H. L. (2005). Rehabilitation needs of an increasing population of patients: Traumatic brain injury, polytrauma, and blast-related injuries. Journal of rehabilitation research and development, 42(4). Merbitz, C. (1995). Reported head injury and disciplinary rule infractions in prison. Journal of Offender Rehabilitation, 22(3/4), 11-19. National Center for Injury Prevention and Control (U.S.) Division of Injury Response. (2010). Traumatic Brain Injury in the United States: Emergency Department Visits, Hospitalizations and Deaths 2002-2006. Retrieved from http://www.cdc.gov/traumaticbraininjury/tbi_ed.html#1. Okie, S. (2005). Traumatic brain injury in the war zone. New England Journal of Medicine, 352(20), 2043-2047. Phillips, A. (2013). Identifing Traumatic Brain Injury and Developmental Disability in Prison. Washington: Washington State Department of Corrections. Rao, V., Koliatsos, V., Ahmed, F., Lyketsos, C., & Kortte, K. (2015). Neuropsychiatric disturbances associated with traumatic brain injury: a practical approach to evaluation and management. Semin Neurol, 35(1), 64-82. doi: 10.1055/s-0035-1544241. Tate, R., Lulham, J., Broe, G., Strettles, B., & Pfaff, A. (1989). Psychosocial outcome for survivors of severe blunt head injury: The results from a consecutive series of 100 patients. J Neurol Neurosurg Psychiatry, 52, 1128-1134. Temkin, N. R., Dikmen, S. S., MacHamer, J., & Corrigan, J. D. (2009). Social functioning after traumatic brain injury. J. Head Trauma Rehabil. Journal of Head Trauma Rehabilitation, 24(6), 460-467.
van Reekum, R., Cohen, T., & Wong, J. (2000). Can Traumatic Brain Injury Cause Psychiatric Disorders? J Neuropsychiatry Clin Neurosci, 12(3), 316-327.